TenguLife: The curious guide to Japan: YATTA! Walking the Yamanote Line - Done! 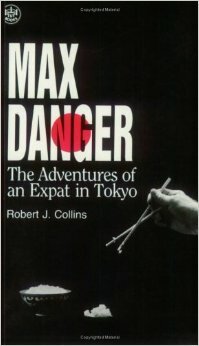 In the early 1990's I read a book entitled "Max Danger - The Adventures of an Expat in Tokyo". A series of short stories about our hero and his long suffering colleagues, including Chicken Inoue if memory serves. Max was the archetypal foreigner living in Japan and his exploits were hilarious, though probably appreciated more by those who have been on the ground for a while and have made many of the same faux pas themselves. 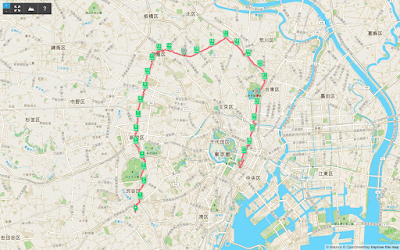 One adventure though follows an outing when Max and his family decide to ride their bikes around the track of the Yamanote-sen, the loop line that encircling central Tokyo. And I thought that was a great idea. So with two friends we set off early one Saturday morning and eventually found ourselves several hours later in an Irish bar in central Shibuya feeling somewhat pleased with our efforts for the day. I'd try my hand (well, feet) at it. Living on the opposite side of Tokyo I decided on the solo start from Shibuya on a pleasant morning in June 2014. The route took me clockwise around the north of city but by 28km's I was flagging and feeling my age. Putting up my boots, I took the Hibiya line home but promised my self I'd be back to close the loop. One day. And today, at 5.35am, I set off, this time heading south, to see if my feet were up to the promises of my mouth. Getting lost in the back streets of Meguro I resorted to Google Maps and found my way out of the rabbit warren of cul-de-sacs. 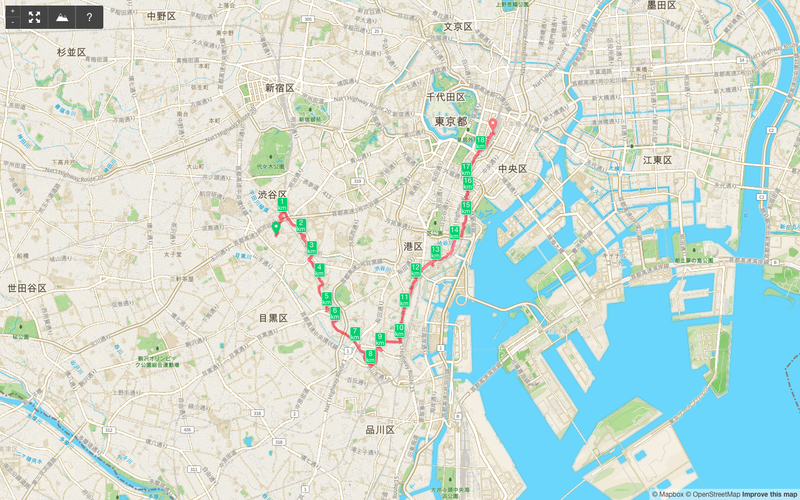 After that I've always thought of Shinagawa as fairly flat but now know I was very much mistaken, those hills are high. 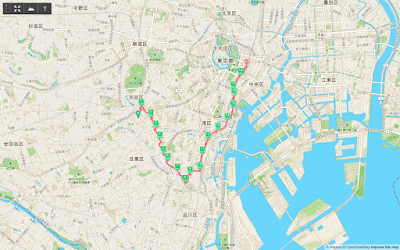 And by 8.45, around Mita, I encountered the first teams running clockwise as they passed me by (nicely done by the way). And then around 10.15am I was standing on the very same spot where a year ago I'd paused and decided I'd tried my best but the knee joints weren't going any further. This year my wife and son had joined me for the final few kilometers, laughing with me as they saw me slowing and helping me on. And I'd made it. Took me a year. And about 10 hours, 35 minutes. But I'd made it. Good luck to all those aiming to run the roughly 50km in under a year today. Huge respect! Now, anyone up for Hachiko to the Gaijin Botchi? YATTA! May 2015, closing the loop!